eOneErica Campbell is breaking away from her gospel duo, Mary Mary, to release her debut solo album, Help. Erica says despite the album’s moniker, the album aims to encourage people going through different situations. One song that has already connected with listeners and critics, is Erica’s debut single, “A Little More Jesus” as it nabbed her a Grammy Award nomination. The song was co-written by her sister Tina, the other half of Mary Mary. Tina says she couldn’t help but jump on the track, especially since she was personally dealing with her husband’s infidelity and the passing of their father, Eddie Atkins. Tina adds that her sister’s album is perfect for anyone who’s living in negativity. “Now the stuff is danceable and musical and all that. I can appreciate it creatively and just as a fan of music, but it’s saying something to me and I need that because if I surround with all of the negativity and all of the things that I could attach myself too — especially considering what I went though — I could be in some negative space, acting a fool; justifying it, qualifying it,” she says. Erica says her debut album is deeply personal, especially because she dedicated a song on her album to her late dad, who passed away from cancer last year. Erica admits the song, titled “Eddie,” also proved very difficult to record. “From the time I sung the first line, I broke down and so my husband was there and he was like, ‘Well, do you not want to record it? Do you not want to write it?’ And I was going, ‘No, I can do it.’ You know, my daddy taught me to be a soldier so tears don’t stop me,” she tells ABC News Radio. 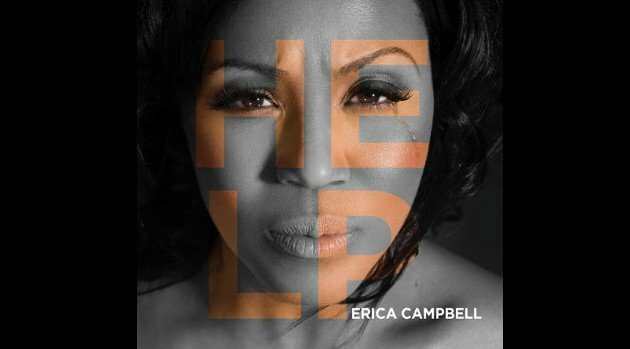 Erica’s debut solo album, Help, hits shelves today.